God gives us all unique gifts, just sometimes it is hard to find ours when we are looking at everyone else's gifts. The Everyday Zoo is having a talent show and Hayley Hippo wants to perform, but every talent she tries, ends up going arry. What is her talent? Perhaps God didn't give her one? Boyd and Harley were great magicians, Midge and Pidge were excellent ice skaters, and Miss Bimble could sing beautifully. Everyone it seems has a talent except for Hayley. As the big day approaches, Hayley's friends gather around her and help her to realize the talent that has been right under her nose! This book is great for discussing our gifts and talents and how God blesses us each uniquely. He wants us to use our talents to reach others for Him and once we find out our specific gifts, we are going to be a blessing to others. This book is beautifully illustrated by Mary Sullivan with bright characters in an array of talents! This book is a reminder that God made us special and He loves us just as we are! Be sure to check out this and other new releases at Zondervan. Oh, to be a kid again.. This looks like it would be a good book for a little girl. This would be perfect for my little girls :) Thank you for this great review. 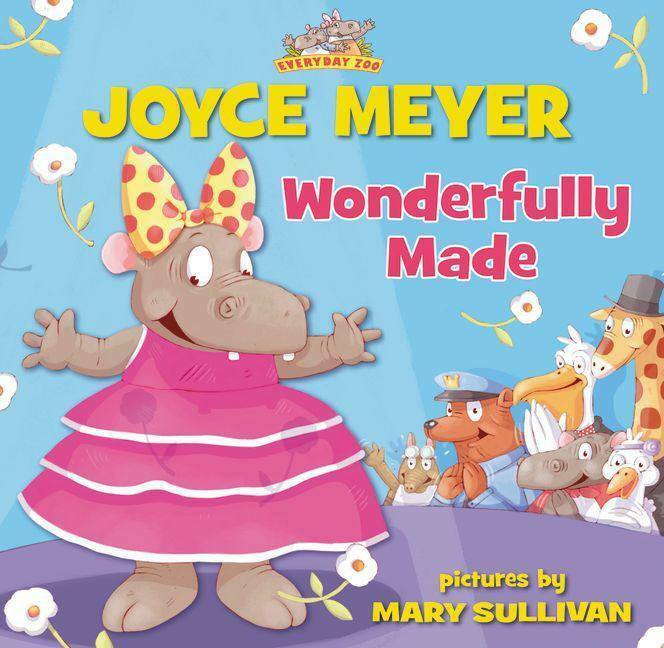 I have read a lot of Joyce Meyers books but didn't realize she wrote children's books! Awesome!